Contest #572: Moray terraces, near Cusco, Peru – Where On Google Earth? Moray is an archaeological site in Peru approximately 50 kilometres (31 mi) northwest of Cuzco on a high plateau at about 3,500 metres (11,500 ft) and just west of the village of Maras. 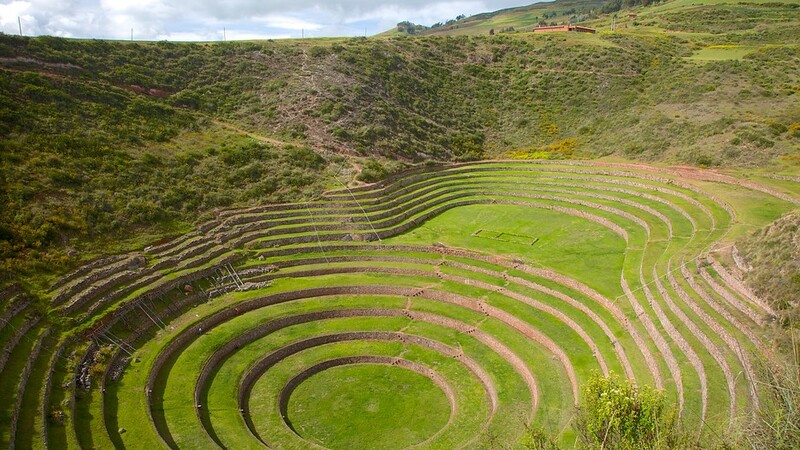 The site contains unusual Inca ruins, mostly consisting of several terraced circular depressions, the largest of which is approximately 30 m (98 ft) deep. As with many other Inca sites, it also has an irrigation system. The purpose of these depressions is uncertain, but their depth, design, and orientation with respect to wind and sun creates a temperature difference of as much as 15°C (27°F) between the top and the bottom. 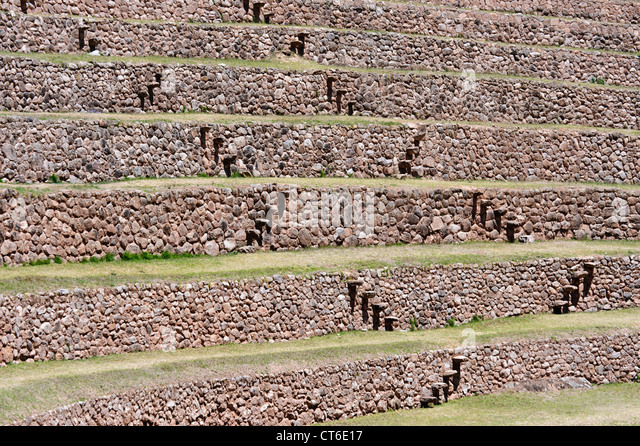 It is thought that the terraces allowed experimentation with different types of crops.